Deep, boring pain behind your eyes. Throbbing, pulsating pain in your temples. Vision changes, zig zags, flashing lights, or tunnel vision. Nothing seems to help except lying down or just closing your eyes. For the 13% of Americans living with chronic headaches and recurrent migraines, these symptoms are all too familiar. In fact, those diagnosed with chronic migraines spend 15 or more days each month with a migraine headache, and each episode could last 72 hours or more at a time (a condition known as status migrainosus). Photophobia or light sensitivity is one of the most common vision complaints of someone living with migraines, so seeking help from an optometrist can be a great resource for finding relief. There are numerous eyewear tints, coatings, and lens designs that could be a major source of comfort, and even a low powered prescription could greatly reduce eyestrain or tired eyes that could be a trigger for a migraine event. If you are suffering from chronic headaches, the first agenda item has to be ruling out any health condition. Migraines are a diagnosis of exclusion, meaning all other health conditions must be ruled out first. Serious findings like tumors, hemorrhage or bleeding, vascular malformations, and increased intracranial pressure are all possible causes of recurrent headaches and need medical investigation. A thorough eye exam is a great place to start; through imaging and dilation, your eye doctor can assess the internal eye for any signs of swelling or bleeding that could be a tell-tale indication that a systemic health condition is at play that requires further imaging and work up. Blood work could reveal nutritional deficiencies that can majorly contribute to chronic headaches, including common culprits like low Vitamin D (10% of Americans have low Vitamin D levels due to our indoor lifestyles), low magnesium, and low Vitamin B6 and B12. Although migraines are still not completely understood, scientists theorize they result from changes in blood flow to different areas of the brain. Stress, fatigue, low blood sugar, or some other culprit upsetting the normal flow of oxygen and nutrients within the body causes the release of serotonin and constriction of the blood vessels supplying the brain. This triggers a cascade of reduced blood flow throughout the brain's different regions, including those responsible for vision and pain. If you've ever been told to drink caffeine or eat a candy bar to help with your migraine, the idea here is that if you can increase blood flow back to the brain with a kick of stimulation like sugar or caffeine, you may be able to shorten the life of the migraine. The best way to prevent a migraine is to stop the trigger, but of course stopping stress or fatigue is easier said than done. This is where prescription eyewear could make a big difference. If you experience ocular stress or ocular fatigue, prescription eyewear can greatly reduce strain on the eyes. Do you feel that your eyes are sore or tired at the end of the day? Do you find yourself rubbing or having to close your eyes frequently at work? Do you have trouble with light sensitivity or oncoming headlight glare? All these are common complaints of someone suffering from an uncorrected visual prescription, even if you feel like you see "clearly" on a regular basis. Low amounts of prescription that you wouldn't visually need for every day wear can make a huge difference for someone working a heavy computer job or in a profession with high visual demand. It's not uncommon for graphic designers, dental hygenists, research scientists, healthcare workers, teachers, accountants, or lawyers to spend the majority of their day doing extremely detailed near work, which can cause significant stress to the visual system. But with the average American spending over 10.5 hours a day on a screen, most of us are now falling into the category of high visual demand needs these days! Anti-Fatigue Lenses: Products like the Shamir Relax or Essilor's EyeZen are designed to provide clear distance vision while looking straight ahead, and relaxation when you look down for near work like computer and device use. Unlike a progressive lens there is a minimal boost in the bottom of the glasses, so there is no problem with peripheral vision distortion or image jump when looking down. And unlike bifocal glasses there is no annoying or cosmetically unappealing line going through the glasses. They look and behave like normal eyewear, with a little extra kick to relieve strain when you adjust back and forth between distance and closer vision. Prism: Do you suffer from double vision when you get tired? Do you feel a pulling sensation or like your eyes are wandering apart? If your eyes struggle to work together fluently, it can be a major source of eye strain. Your optometrist will check your eyes for an eye turn (tropia) or anomalous eye posture (phoria) during your exam to uncover these issues. If the eyes under or over focus when doing near work, a prism prescription helps relax how much effort your eye muscles have to put into compensating every day. Vision Therapy is also a potential alternative option even for adults to train their muscles to better compensate on their own! What type of glasses could help with light sensitivity? Photophobia or light sensitivity is one of the most common symptoms reported by those suffering from chronic migraines. 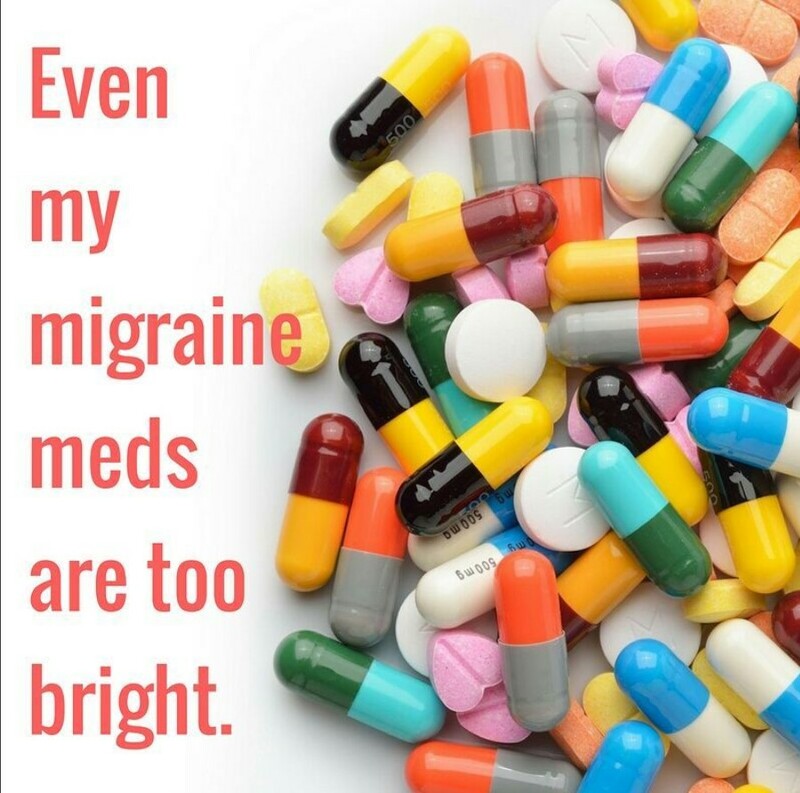 In fact, 80% of migraine sufferers report light sensitivity. Changes in lighting, bright lighting, or certain wavelengths of light like the high energy blue wavelength light coming from devices or fluorescent lighting can all trigger a migraine as well. Not only is photophobia a symptom of migraines, but it can also trigger them! Wearing the right lens technology in your eyewear could not only help relieve the light sensitivity that comes along with your migraine, it may even help prevent onset if lighting conditions are one of your triggers. Blue Blocking Protection: Because migraines are still not completely understood, why high energy blue light exposure (like that found in LED light bulbs, fluorescent lighting, and emanating from our devices like computer and cell phones) exacerbates migraine photophobia is still just a working theory. Research suggests that the signal telling your brain to be more sensitive to lights comes from retinal nerve cells containing melanopsin. These specific retinal cells are most sensitive to high energy blue wavelength light. Anti-reflective coatings or tints that block high energy blue wavelength light could thus reduce sensitivity by reducing the stimulation of these cells! Transitions XTRActive: Not only does the XTRActive lens block 2 x more high energy blue light than clear lenses, it also automatically tints in brighter lighting to provide glare relief. It's an excellent multi-purpose option for glare and light sensitivity. For many patients that have light sensitivity, their complaints originate from high energy blue light exposure from prolonged device or computer use, which is exacerbated when they go into brighter light conditions like leaving the office for lunch or to drive home at the end of the day. Transitions XTRActive combats both by blocking high energy blue light on the screen and automatically darkening when you step outside, even behind the windshield of the car. Tinted Lenses: Yellow lenses block all blue light, not just high energy blue wavelength light so there are some pros and cons. More popular for migraines is the FL-41 tint (a rose hued tint) that is designed to block the flicker effect of short wavelength fluorescent lighting. 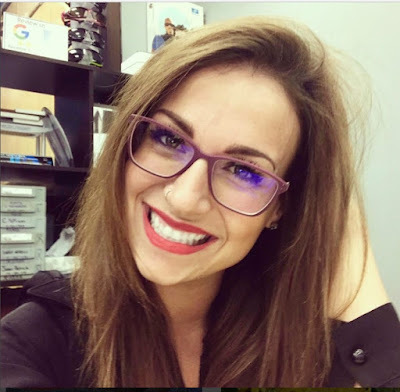 Research showed that migraine sufferers wearing FL-41 eyewear experienced a "decrease in photophobia and glare in between attacks, but no change in the light sensitivity associated with the migraine attack." Theraspecs are a full time rose tint lens made to reduce the appearance of fluorsecent light flicker. You can also get rose tinted lenses made in any frame of your choosing at any prescription optical or doctor's office. 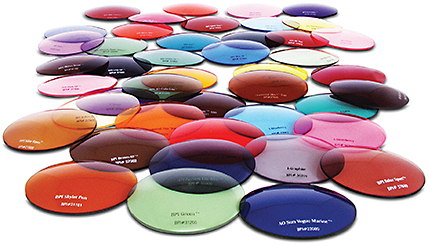 How can you determine if a certain coating, auto-tinting lens, or constant color tint would help your specific condition? Doctors offices and prescription opticals have sample lenses that you can look through to assess the benefit for yourself first hand! Trialing vision through a tint or coating while looking at a computer screen or device can be a great way of determining how much relief you may experience. 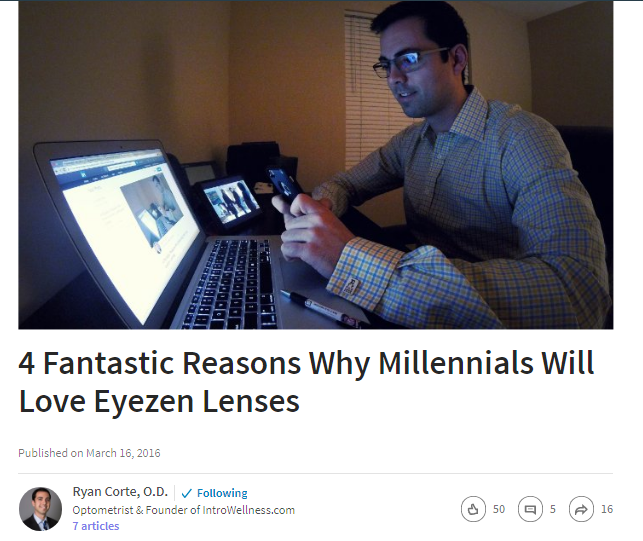 Talking to your doctor about your specific triggers can also help in designing the best lens for you. Are you bothered by computer screen or cell phone glare? A blue blocker option might work best. Are you bothered by changing light levels, like coming in and out of doors or walking by areas of different windows in your office? This is ideal for a solution with Transitions lenses! Are you bothered by flickering lights like working in a warehouse or area where you can visibly see the light bulbs flicker? A rose tinted lens for your work environment may be useful. Knowing your specific work environment and your specific triggers can help in designing the ultimate migraine relief eyewear!